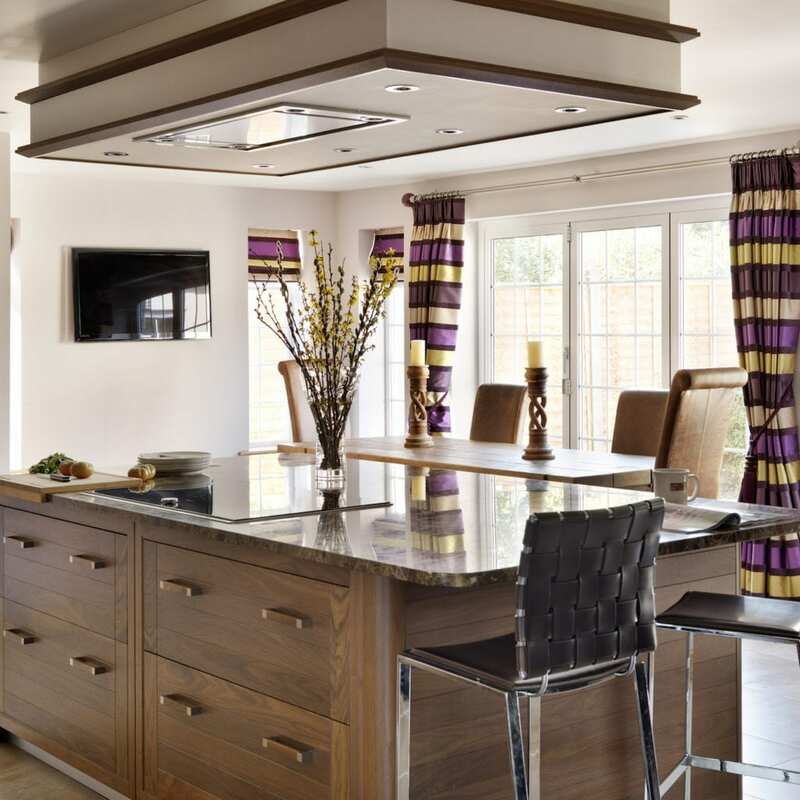 When Jo and Michael bought their 1940’s property in Berkhamsted they knew that they would need to undertake some renovations to make it the home they dreamt of, including adding a new kitchen. 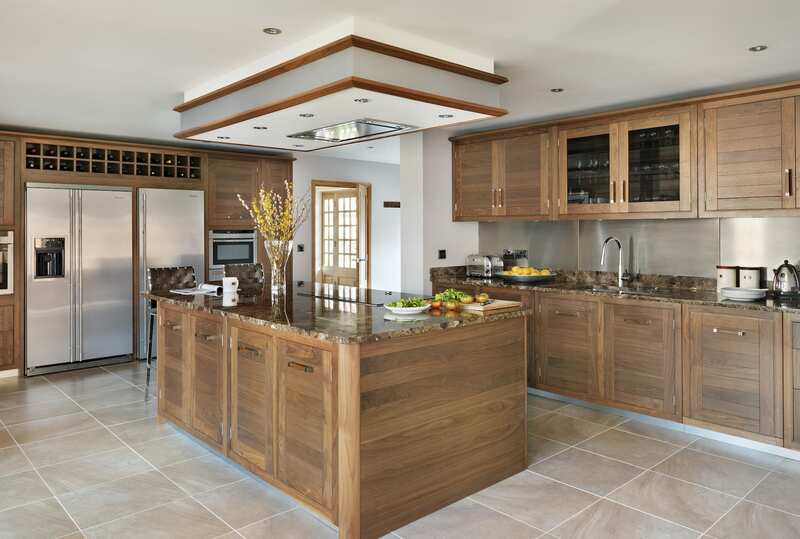 Jo had some strong kitchen ideas, deciding very early that the kitchen cabinets were to be walnut; “It’s traditional, but I could see it being used in a contemporary way” she explained. However, despite Jo deciding upon walnut very quickly it took them a long time to find the right kitchen design. 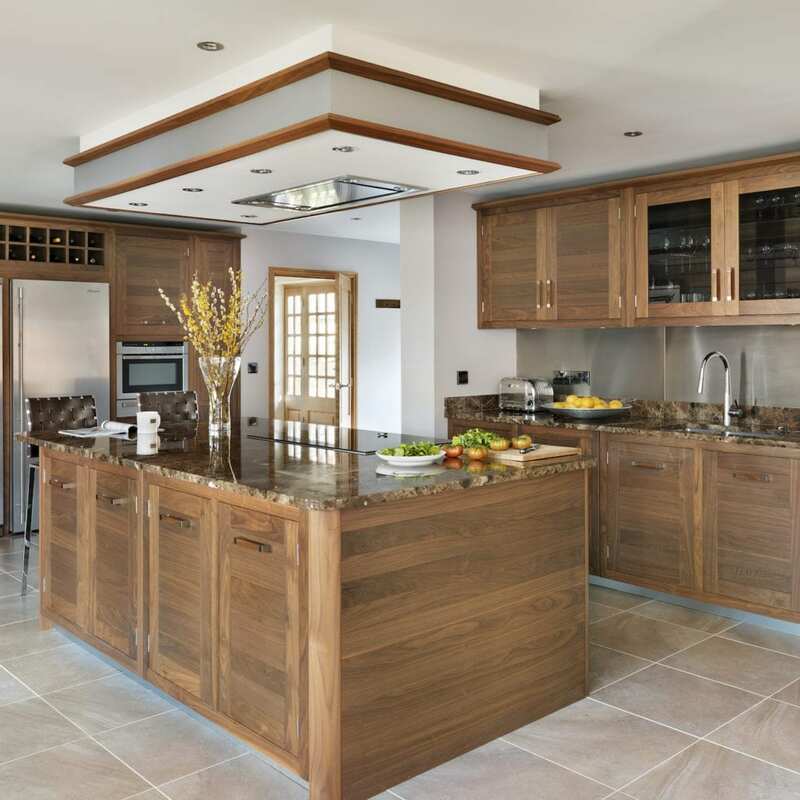 Jo felt that walnut kitchens tended to be all too similar, but when she saw Davonport’s Grosvenor collection in a magazine she knew immediately that this was the one for her. The Grosvenor’s traditionally made in-frame doors with horizontal ladder-style detailing added the unique contemporary twist that Jo had been searching for. 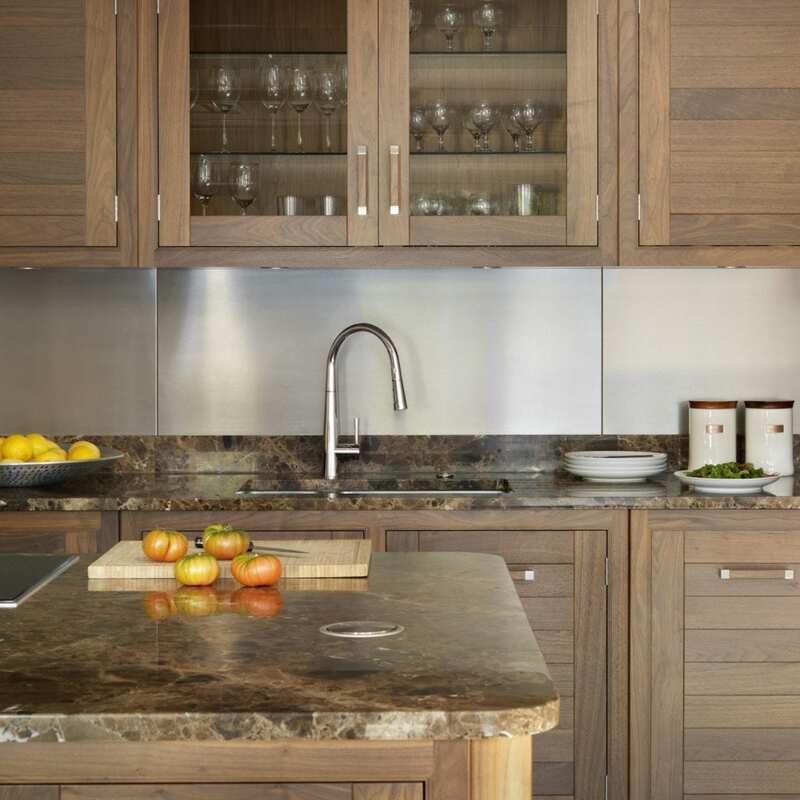 Having found the right kitchen design the task of balancing walnut’s warmth in the room began. 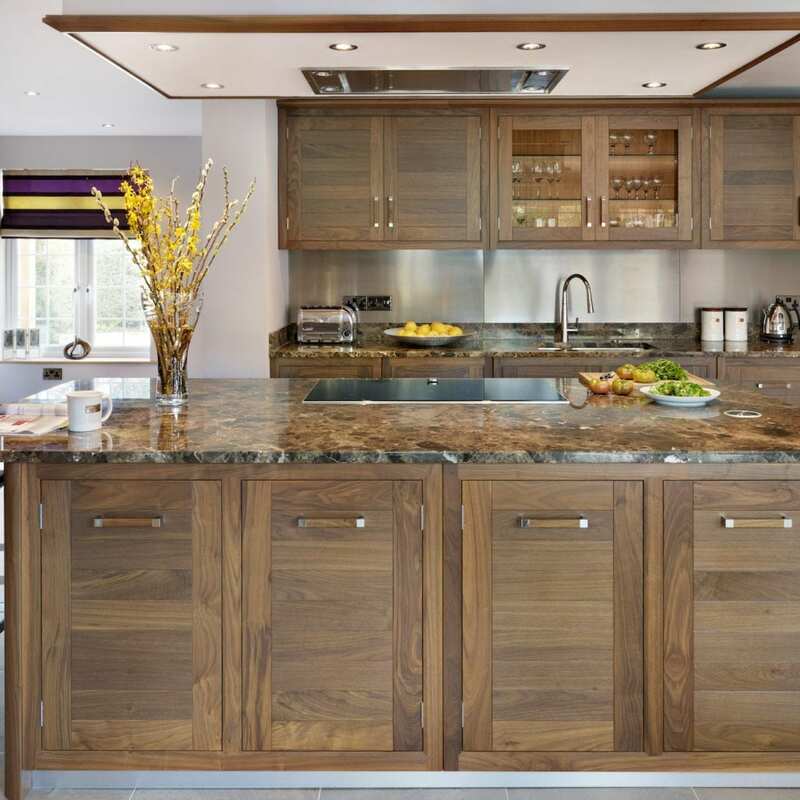 The deep colour of walnut can sometimes make a space feel crowded and dark if there is not sufficient lighting. The layout of the kitchen was specifically designed to allow optimum light in to the room in order to avoid this. Trifold glass doors opening on to the garden and multiple windows ensured that the kitchen had enough natural light to balance the denseness of such a large amount of walnut. 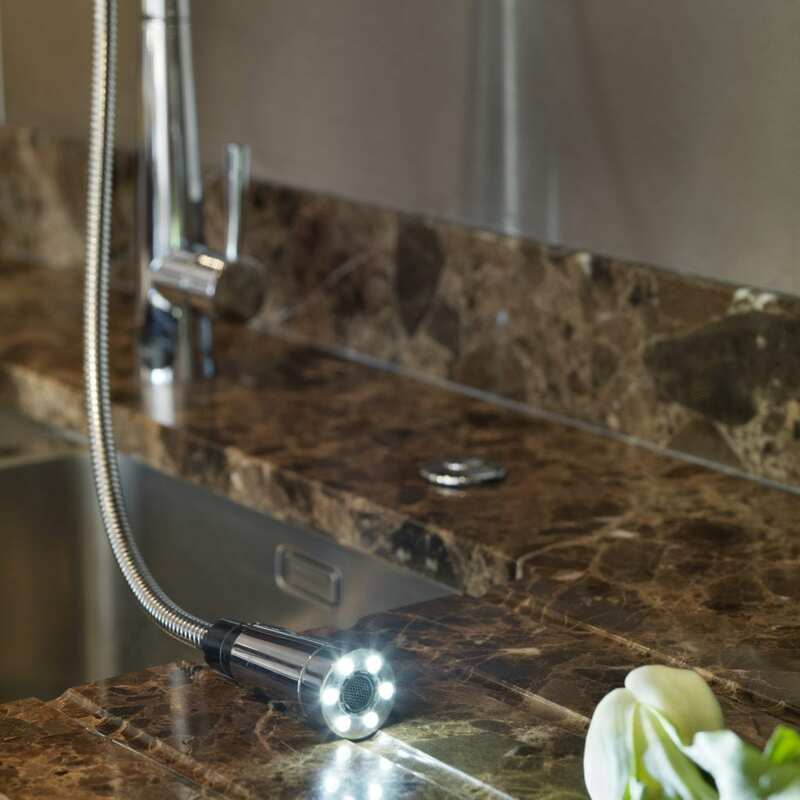 “With so much illumination in here, I was confident that the room would remain light and airy despite having a lot of dark wood in it” explained Jo. While a certain colour or wood might be stunning in isolation, too much of it can feel overpowering. 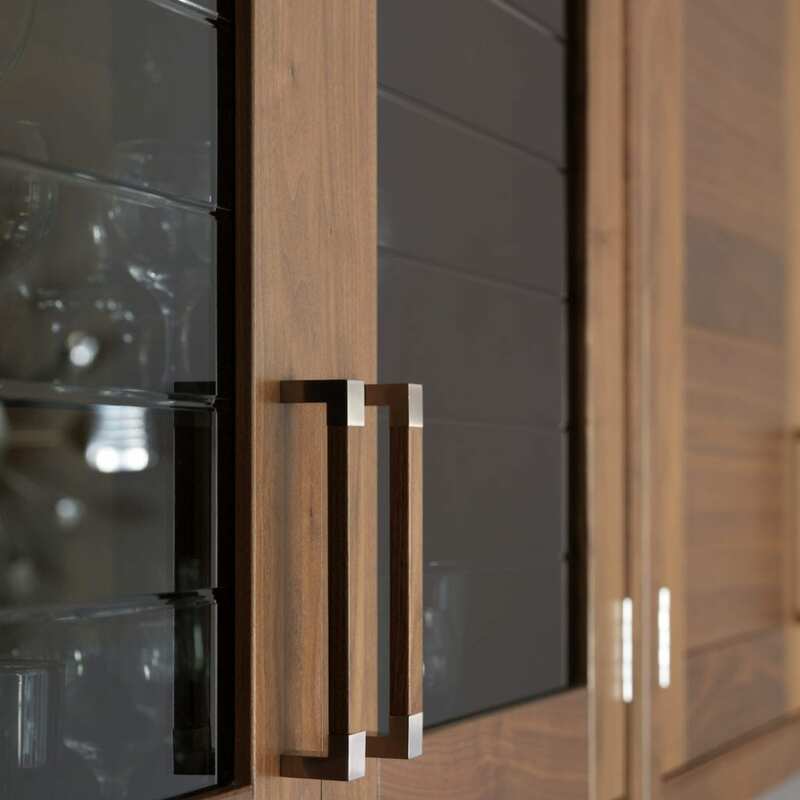 As well as designing the bespoke cabinetry itself, our experienced Davonport kitchen designers will help make the colour scheme you dream of work best in the space you have. 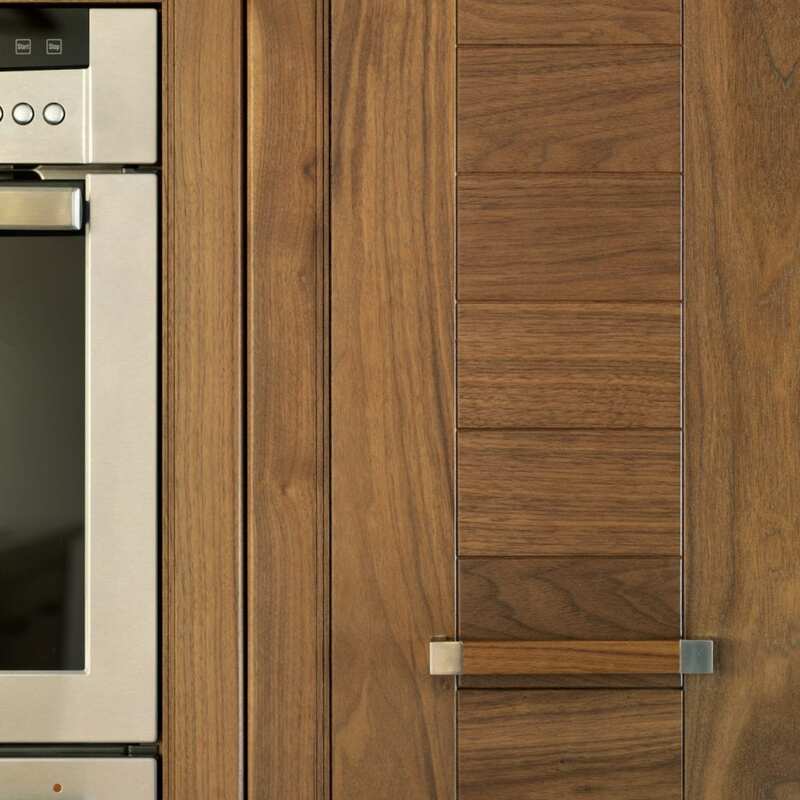 As with Jo and Michael, the end result is a kitchen with all the warmth that Jo had seen and loved in walnut, while avoiding the potential negatives of using walnut. Given that the kitchen is the centre of many homes, where family and friends come together throughout the years, it is important that the colour scheme creates a space that people want to spend time in, encouraging a sense of calm and relaxation. Therefore, as well as encouraging natural light into the room, other aspects of the design were specifically chosen in order to help balance the dark tones of the walnut. The walls were painted white and they chose Marron Imperial marble worktops in cream with soft brown tones, which tied all the interior decor elements together. 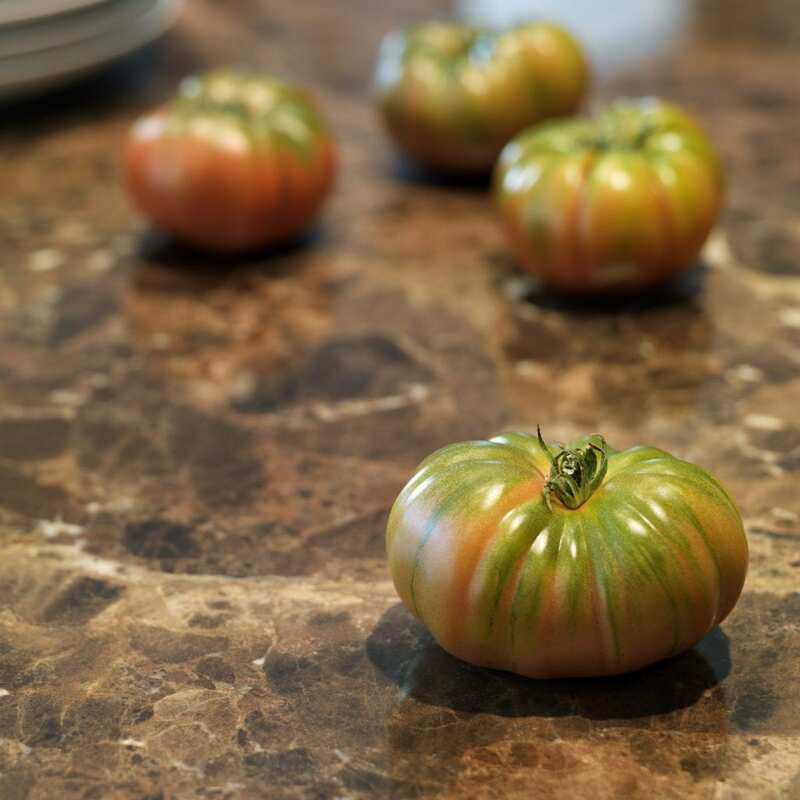 “As soon as I saw the marble I fell in love with its colour and markings, and the way it makes a subtle contrast with the walnut”. Similarly, the natural-coloured stone floor contrasts with the dark walnut, helping balance the colour scheme. 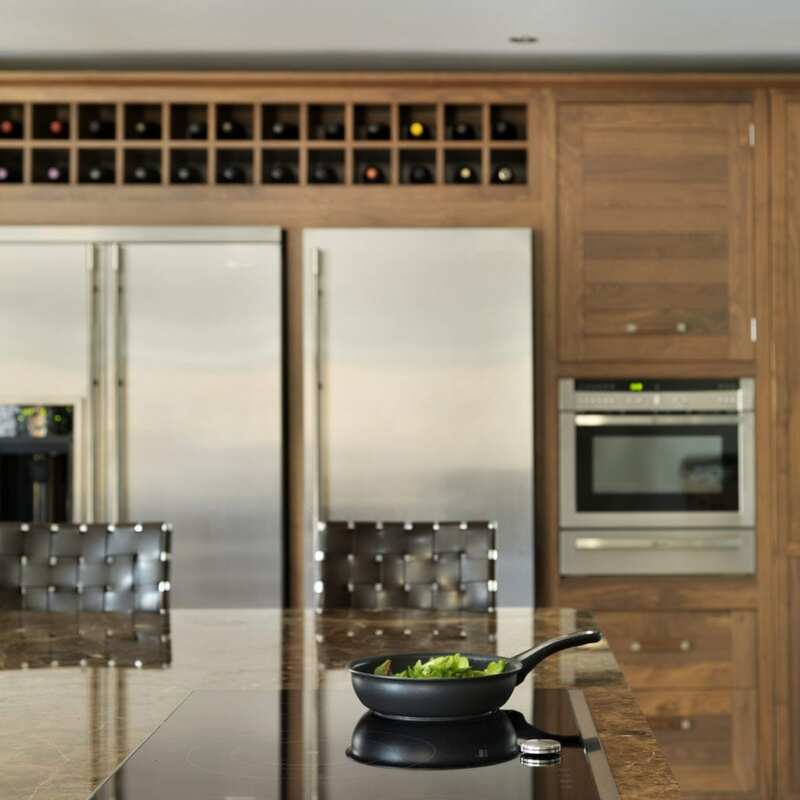 In addition to this, the stainless steel splashback and Neff fridge freezer and wine chiller all provided reflective surfaces lightening the room and enhancing the contemporary feel of the design. All these elements helped to counteract the dominance of the walnut, giving a rich but fresh look, bringing out the depth of the walnut yet keeping it from being too dark and oppressive. The kitchen island is the central feature of the room, creating a focal point that functions as both the aesthetic centre and the practical hub for food preparation. The induction hob is integrated into the kitchen island, resulting in a sleek finish which echoes the contemporary overall design of the room. The shape of the island is mirrored by the ceiling feature, built to house the Westin extractor. The ceiling feature is also trimmed in walnut, incorporating the warmth of the design through every aspect of the room. The radius pilasters and rounded edges on the island worktop soften the corners, making the impact of the island softer, as well as safer; this element was very important for Jo and Michael as it helps create a safer environment for their young son. The kitchen was designed to be a room for the whole family and so making it a suitable space for young children was crucial. Bespoke kitchen design enables you to make your space the most efficient for your family; the curved corners on the island are the perfect example of how bespoke kitchen furniture can enrich the family aspect of the room. 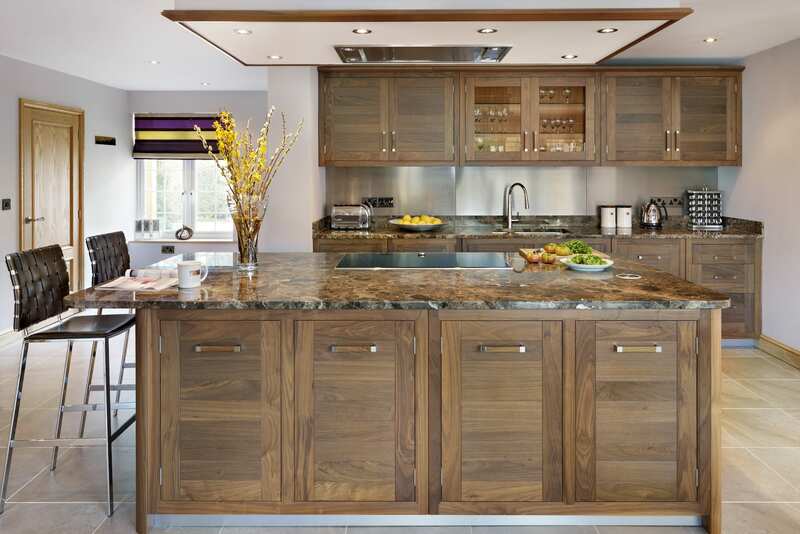 Please visit our Grosvenor collection page to find out more about this modern walnut kitchen style.